The nature of boric acid is to increase the thermal decomposition temperature of things. When added to your investing water it allows you use a higher burnout temperature than normal. This is especially useful when doing resin casting. In combination with Ca(NO3)2 calcium nitrate, the boric acid protects the investment mold while the decomposing calcium nitrate excess oxygen helps burn off 3D printer resin residue from your investment molds. 20 grams per liter or 76 grams per gallon is the recommended concentration. 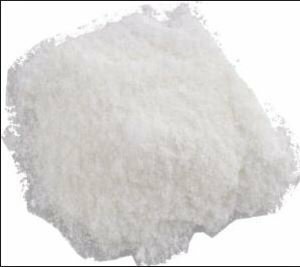 Boric acid does not dissolve in room temperature water. .
To reduce your work time, only heat up half of the total water you need for investing to about 160oF / 71oC. Dissolve the total amount of boric acid in that warm water by stirring during heating. When it is fully dissolved, remove from the heat and add that to the other half of your water that is still cool. You should not use water above 75oF / 23oC for investing as it can shorten your work time causing nodules on your castings from trapped air bubbles.